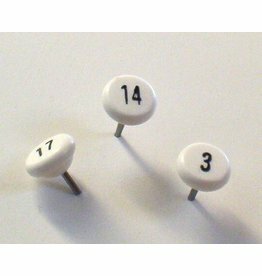 This is the more popular size for numbering locations on your pinboard map. 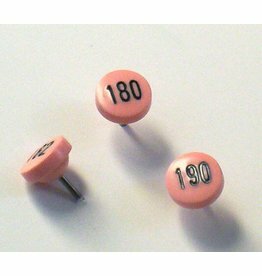 Ideal for art galleries, exhibitions. 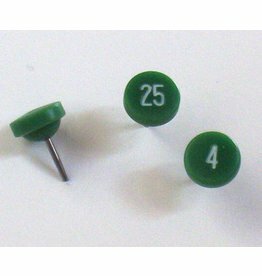 11 color combinations. 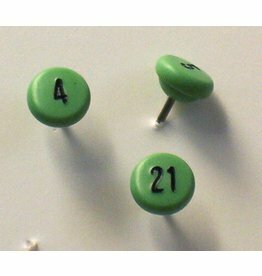 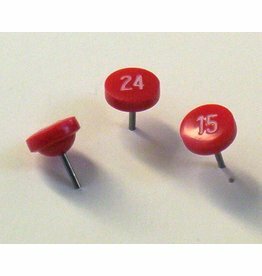 Individual packages contain 25 consecutively numbered tacks (1-25, 26-50, 51-75 etc) but much of our stock is to be sold only in unbroken sequential sets: 1 to 100, 1 to 250 or 1 to 500. 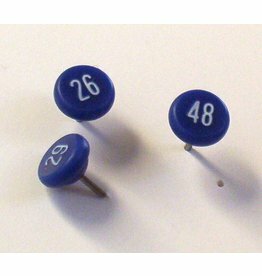 However, many packs of 25 that remain after compiling sets are on sale. 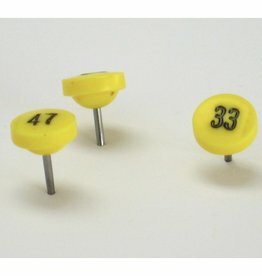 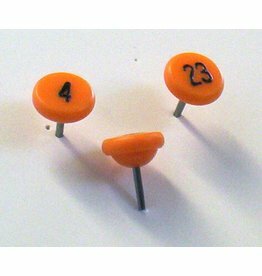 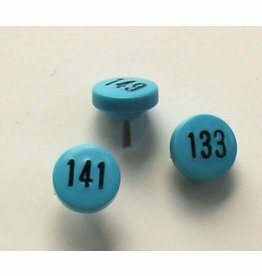 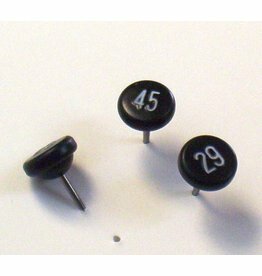 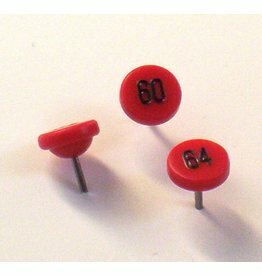 Look for half price numbered maptacks among the higher numbered packages of White tacks with black numbers and Red tacks with black numbers.